On International Woman's Day, we want to flag up our support for the ambition that 'each one of us - through purposeful collaboration - can help women advance and unleash the limitless potential offered to economies the world over'. The UN’s Sustainable Development Goal for water and sanitation, Goal 6, calls for universal and equitable access to safe and affordable drinking water by 2030. The first step is providing everyone with a basic service within a 30-minute round trip, and the long term goal is to ensure everyone has safe water available at home. However, UN estimates are that in sub-Saharan Africa, for example, for 29 per cent of the population (37 per cent in rural areas and 14 per cent in urban areas), improved drinking water sources are 30 minutes or more away. In sub-Saharan Africa, one roundtrip to collect water is 33 minutes on average in rural areas and 25 minutes in urban areas. In Asia, the numbers are 21 minutes and 19 minutes respectively. However for particular countries the figures may be higher. A single trip takes longer than an hour in Mauritania, Somalia, Tunisia and Yemen. When water is not piped to the home the burden of fetching it falls disproportionately on women and children, especially girls. A study of 24 sub-Saharan countries revealed that when the collection time is more than 30 minutes, an estimated 3.36 million children and 13.54 million adult females were responsible for water collection. In Malawi, the UN estimates that women who collected water spent 54 minutes on average, while men spent only 6 minutes. In Guinea and the United Republic of Tanzania average collection times for women were 20 minutes, double that of men. 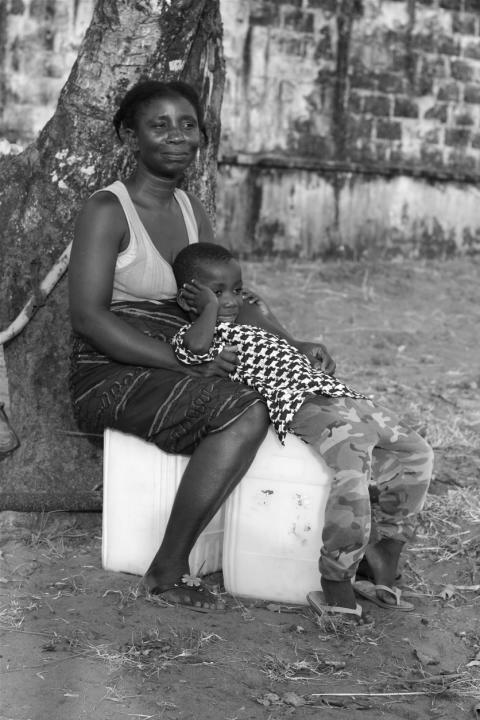 For women, the opportunity costs of collecting water are high, with far reaching effects. It considerably shortens the time they have available to spend with their families, on child care, other household tasks, or even in leisure activities. For both boys and girls, water collection can take time away from their education and sometimes even prevent their attending school altogether.